My name is Samantha Taymore. I am a creative writer and editor. I work with freelancers and first-time authors to help them find their voice, improve their writing, and grow an audience. I am a writer and an English teacher. I love the writing process and the editing process because they allow me to access my creative side, and then my analytic side. When I was in college, I originally studied English and Theater. I always loved English. However, while studying theater, I learned how to find my voice and create meaning in words. Through projects where I had to create characters from scratch and their words, I discovered a passion for writing and communicating ideas. I am addicted to the notion of Law & Order. I want to change the world. I search for structure within the chaos. I am slightly obsessive-compulsive, but I am certain that we all are. I hate odd numbers, especially prime numbers. I am tangential. I love shiny things. I love movies. I love the outdoors. I believe my English degree entitles me to make up new words. I want to solve crimes and cook like the chefs on TV. 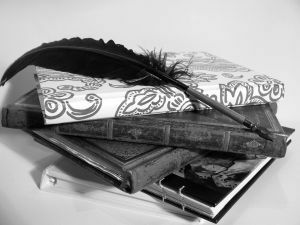 Follow my blog to learn more about the world of writing and editing. View my profile on LinkedIn.